Gastric Sleeve Surgery Pre-Op Diet Guidelines - Making it Easy! What is the Pre-Op Diet for Gastric Sleeve Surgery? Going through life-changing weight loss surgery, you will need to make many adjustments both before and after surgery, specifically in your gastric sleeve surgery preoperative diet and nutrition. Following the proper pre-op diet for gastric sleeve surgery set by our certified surgeons and qualified nutritionists is imperative to succeed with a healthy lifestyle, building positive eating habits, and sustain long-term weight loss. Before undergoing gastric sleeve surgery, patients must undergo a pre-op diet to reduce body fat in the liver (size of the liver). There is a direct correlation between obesity and the condition called fatty liver. This fatty liver enlarges it and makes it heavier – which we can see below is disadvantageous to weight loss surgery. It’s important to consume enough water while on the liquid-only diet. Do NOT take any herbal medications for seven days before surgery. Do NOT take any aspirin, Advil, Nuprin, Aleve or any other non-steroidal anti-inflammatory medication for seven days before surgery. These drugs cause profuse bleeding after surgery. This includes baby aspirin and most arthritis medications. If you are not sure, please check with our Doctors. For a headache or minor pains, you may use Tylenol. You may restart these medications the next day after surgery. You may take needed medications (such as heart or blood pressure medications) with sips of water the morning of surgery as directed by our Doctors. Start taking a probiotic 6 weeks prior to surgery or as soon as possible. You want one that has a minimum of 50 billion units and the more strains the more effective. Discontinue ALL beverages with caffeine. Begin a routine exercise program (consult with your physician first). Cut food into SMALL pieces and practice chewing foods VERY well. Discontinue ALL over the counter Herbal supplements. VERY IMPORTANT: Stop drinking 30 minutes prior to eating and DO NOT drink until 30 minutes after a meal. Begin the practice of NOT drinking with meals. The purpose of this diet is to help shrink your liver prior to surgery by depleting stored glycogen. 2 – 3 protein shakes per day -You may purchase these in any health food store or many grocery stores. Please be sure it contains at least 20 grams of protein per serving. Sugar should be half the grams or less than protein- if you have 20 grams of protein, it should have less than 10 grams of sugar. Dinner: Salad with Protein (chicken, fish, egg, etc. ), a small amount of no or low sugar dressing (preferably olive oil & vinegar or Lemon). Evening Snack: 1 protein shake (if needed). You may also add 1 TBSP chia seeds to your shakes or take psyllium husk to help you stay satisfied throughout the day. * Patients with higher or lower BMI and/or other medical conditions may be prescribed other dietary prerequisites in addition to the above pre-op diet. Discontinue birth control and Estrogen replacement (HRT) medications. Specific medications to discontinue: Coumadin, Plavix, Aspirin, Ibuprofen, Motrin, Advil, Nuprin, Aleve or any other non-steroidal anti-inflammatory medication. **Remember this also includes baby aspirin and most arthritis medications. As these can all cause stomach irritation and possibly more bleeding postoperatively. For a headache or minor pains, you may use Tylenol. Do not take any herbal medications/remedies. May continue to take medication up to the day of surgery. 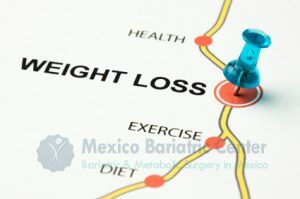 Be mindful, medications and amounts may change due to diet and weight loss change prior to surgery. MUST consult with their doctors about medication use. MUST check sugar levels at home. If sugar is above 150 call your primary care physician immediately. Apple or other clear juice without pulp or carbonation. Clear broths: Chicken, Vegetable, or Beef. Absolutely nothing to drink after the midnight preceding surgery or 8 hours prior to your surgery. Please bring ALL your prescribed medications (whether you are currently taking them or not) in properly labeled pharmaceutical bottles for documentation during Pre-Op testing. Do NOT take any medications after surgery until you have consulted with the doctor(s) and gotten approval. We hope that this information on the gastric sleeve surgery preoperative diet proves useful to you. If you have any further questions, you are welcome to contact us at any time.